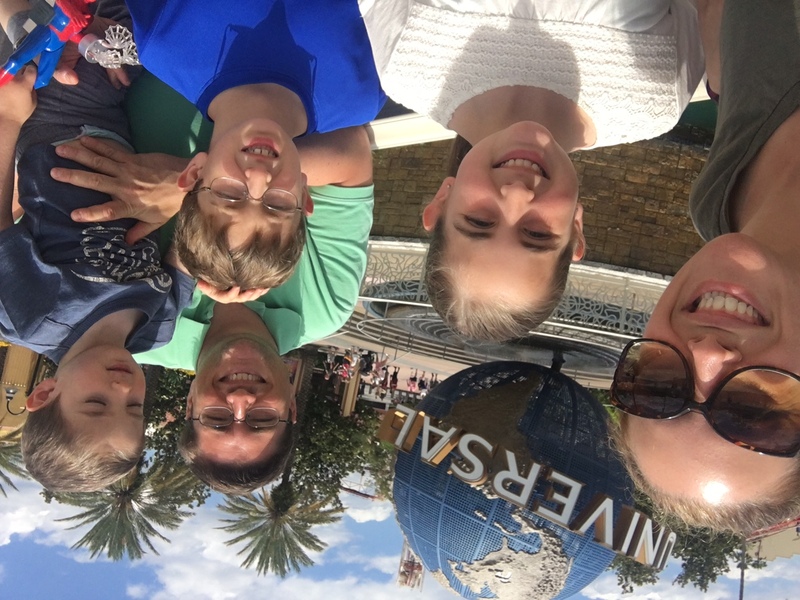 Last week, my entire family had the chance to head down to Florida with Kia to enjoy a few days at Universal Studios and the awesome Hard Rock Hotel. 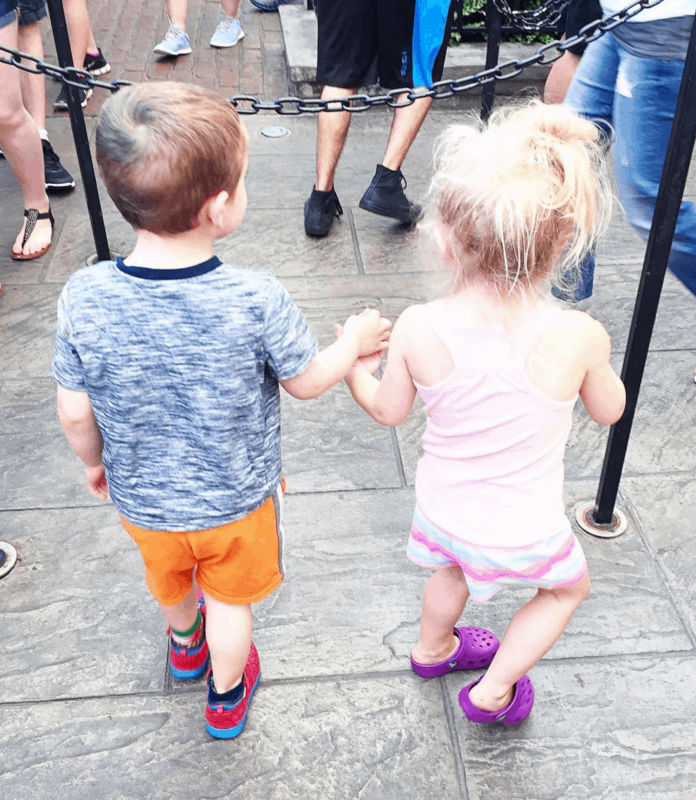 Not only was I able to bring my children along on this press trip, but my best friend and business partner was also invited and part of the group. What a dream come true! As a blogger, you know that I travel A LOT – constantly on the road because I have to go where the story leads me. I’m not complaining because I absolutely love what I do. I feel so blessed to be able to wake up in the morning and truly love what I do day in and day out, but it’s hard to leave my family behind a few times a month. As a mother, for me to say otherwise, I would be lying. When I boarded the plane with all of my children in the row alongside me, I just about cried. Finally, a press trip we could all enjoy. 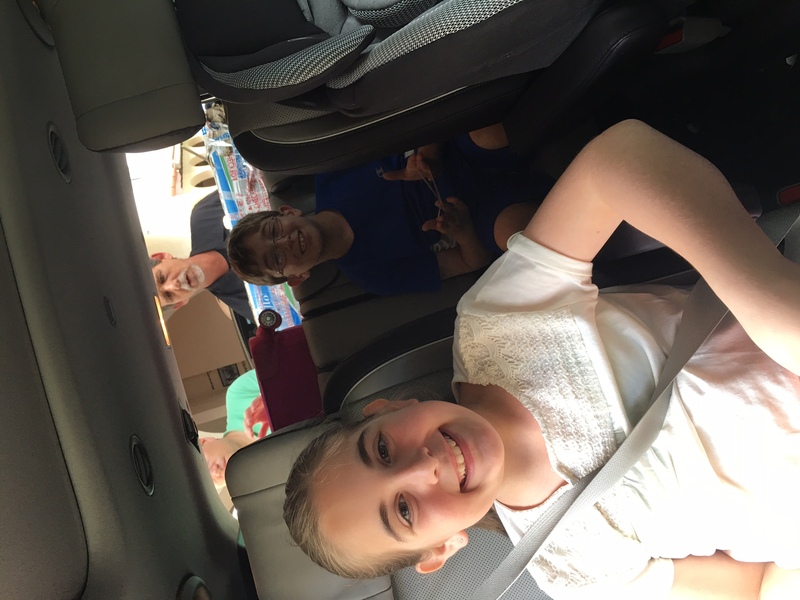 After we all stopped loving on the Sedona, it was off to enjoy the rest of the party. 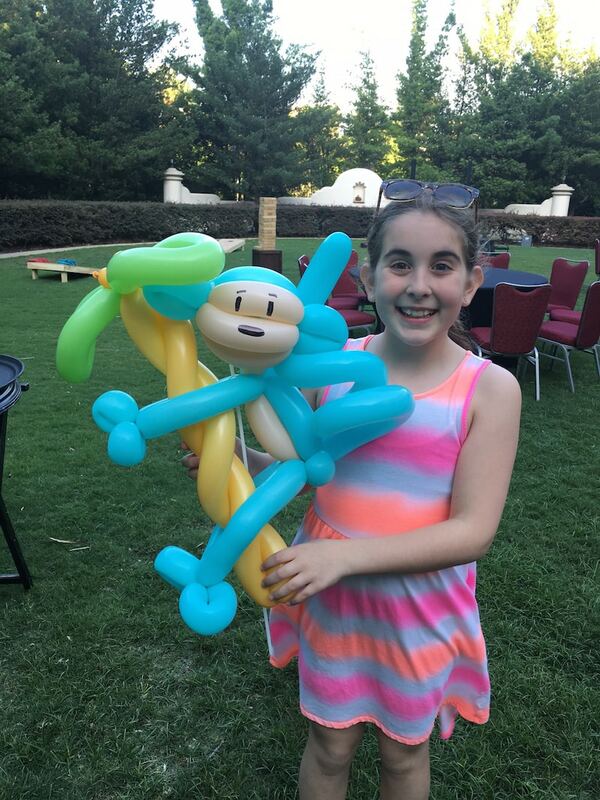 We were simply amazed with the skills from the balloon artist. KNOW that my children worked that man to the bone. 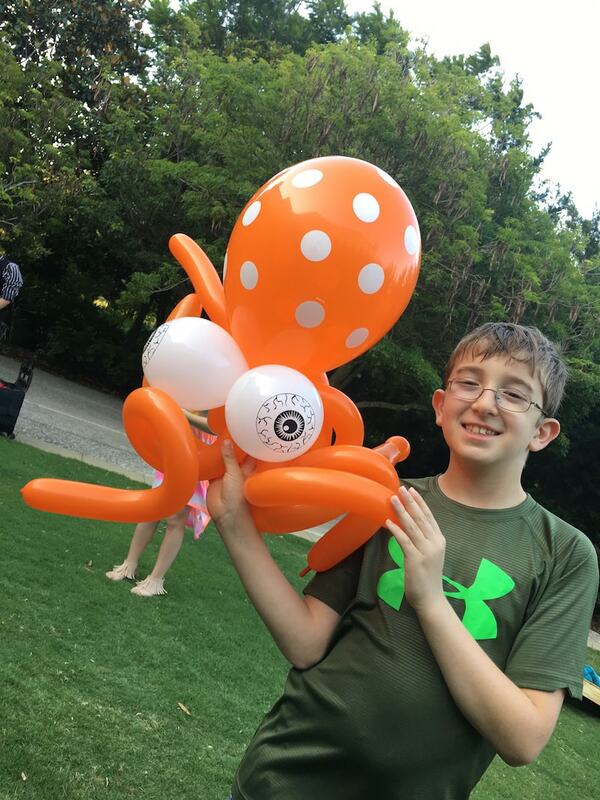 One popped balloon after another…he didn’t skip a beat. The party was great, a perfect end to a day of travel. We went back pretty early to rest up from the long day (traffic and delays..oh my). 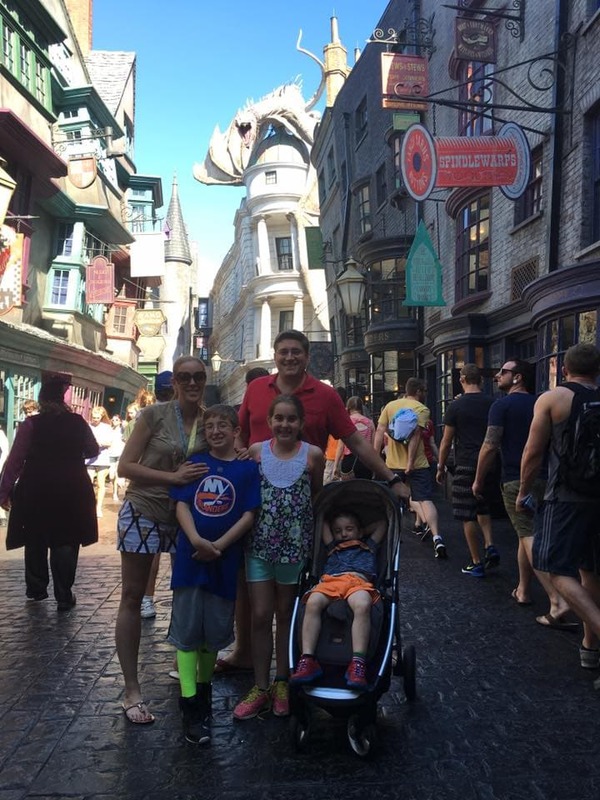 We couldn’t wait for the days to come, which included a visit to Universal Studios. You KNOW that everybody in my family COULD NOT WAIT to walk through the park’s gates and enjoy some cool rides and some really great fun. As great as the roller coasters may be, this trip brought something more than just thrills and excitement. It brought precious moments like this one – a moment I will never forget. 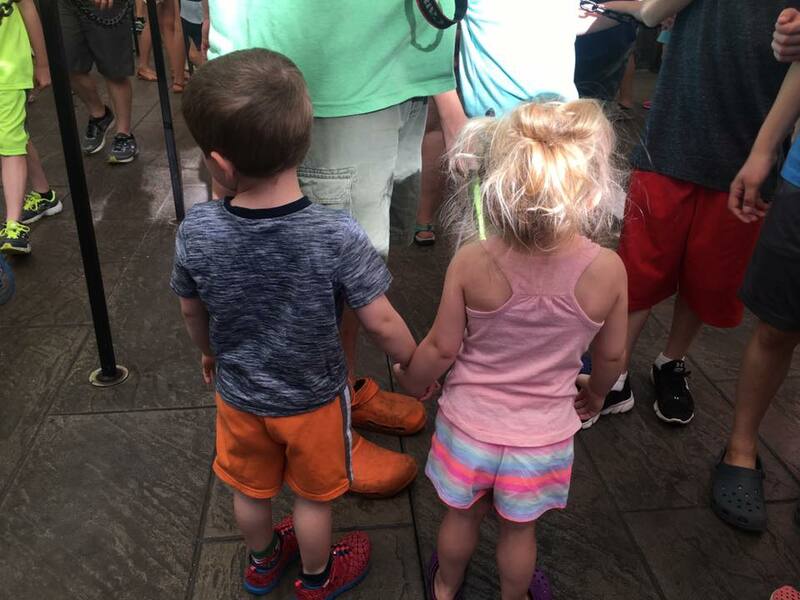 While waiting in line, Caleb and Victoria, Audrey’s youngest daughter and Caleb’s GodSister, would hold hands and play. It’s not very often that I allow myself time off and certainly not with Audrey’s family since we live a few states away from one another. This sight, and so many others like it, was a true blessing. Check out some of the fun!!! We strategically hit up both parks and tried to enjoy as many adventures as we could together. Time was tight, but we were on a mission!! As much as we had an agenda, we made sure that the trip was mostly about making memories and having a good laugh, whatever it is we were doing. And the trip did not disappoint. As AVID fans of Harry Potter, those two areas were our first stops. 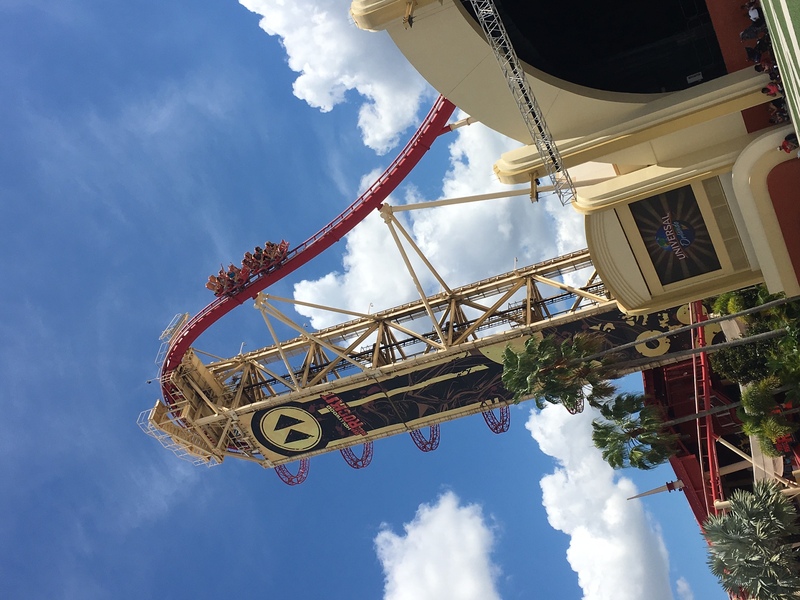 I mean… how could we NOT go on the BEST RIDES IN THE WORLD, especially given that we got to get into the park an hour early with UNLIMITED EXPRESS PASSES, thanks to our stay at the Hard Rock Hotel (right on Universal property). Sorry for the caps… but it’s true! The whole trip was a real team effort. When the moms didn’t want to hop on something, the dads would jump in. 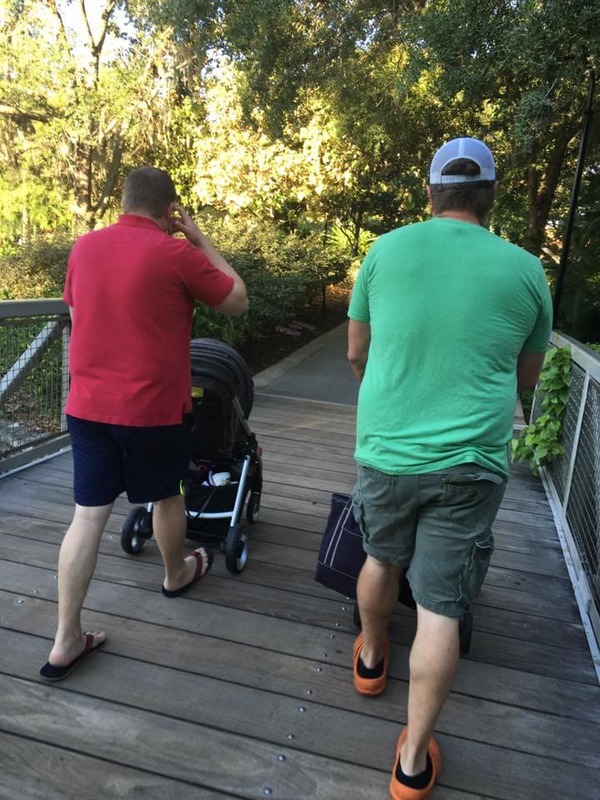 And when the dads wanted a break, the moms would take over. It was the perfect combination. 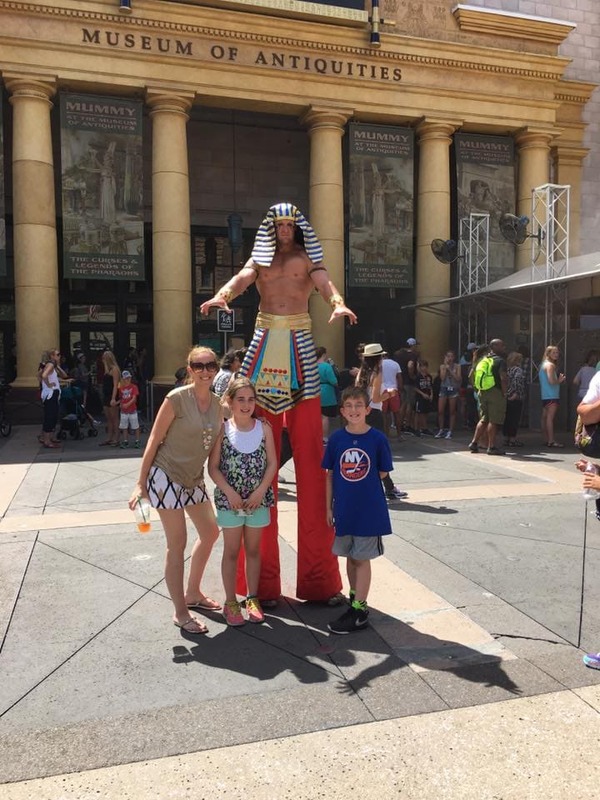 There was so much to take in…Spider-Man, The Mummy, roller coasters and more! 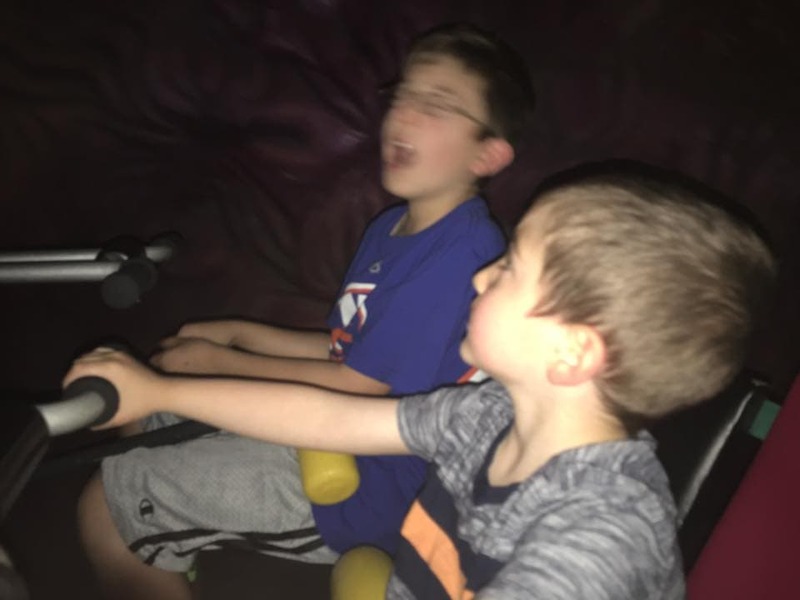 The kids had a blast. They knew the cameras were on them at all times. You know how I roll, LOL. Thank GOODNESS we raised little hams. There are so many photo opps at Universal Studios. You could literally spend the day filling out a photo album with funny photos like the pics below. 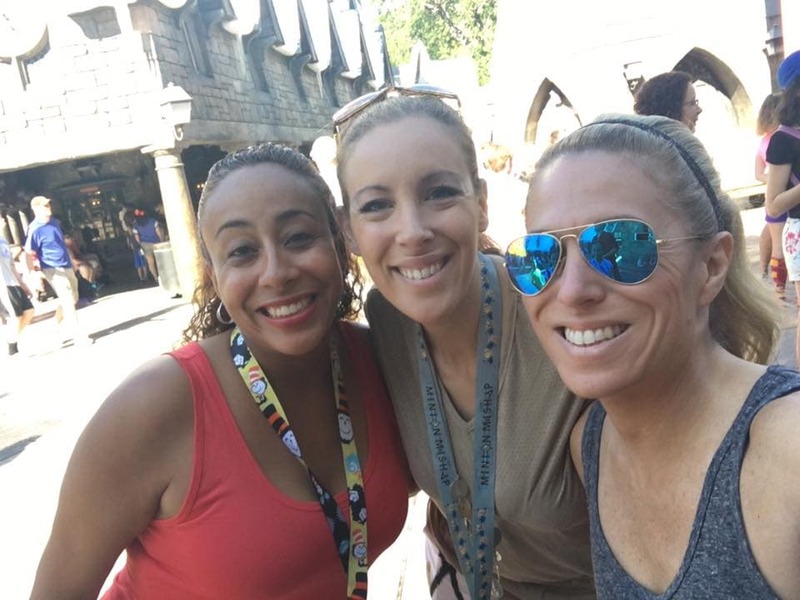 When you needed a break from the amazing rides and the hamming it up, let’s get into some break time. If you want to talk about food, I will talk to you about food. 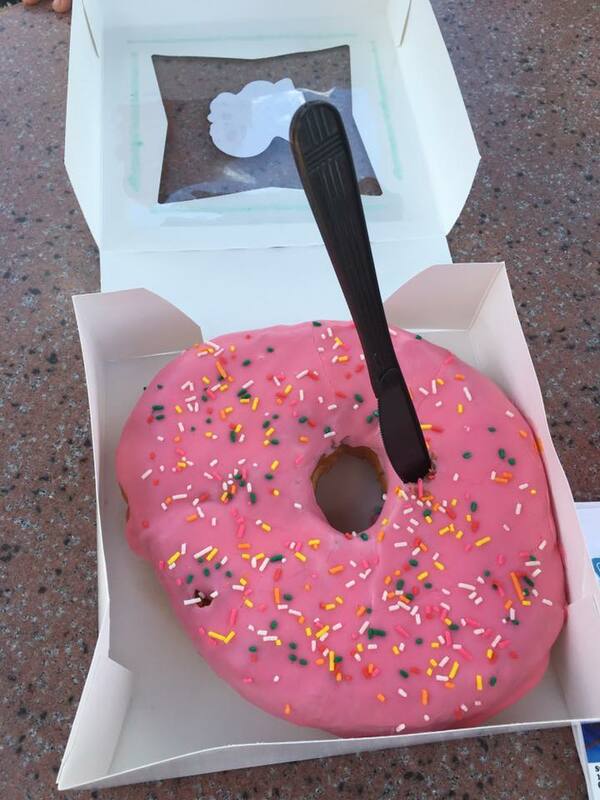 My absolute favorite thing to eat at Universal Studios is the Big Pink Donut in Simpsons Land. Simpsons Land in general is just so much fun…Krusty Burger, Moe’s Kwik-E-Mart. It’s just such a blast, but here’s a snack time secret!! You don’t have to wait on the crazy food line to get it. All you have to do is walk into Moe’s bar and ask the bartender for one. They have them behind the bar!! WOOT! I’ve had this donut twice – last year and last week – and both times the donut was steaming in the box because it was so fresh. You will not get a better dessert. There … I said it. 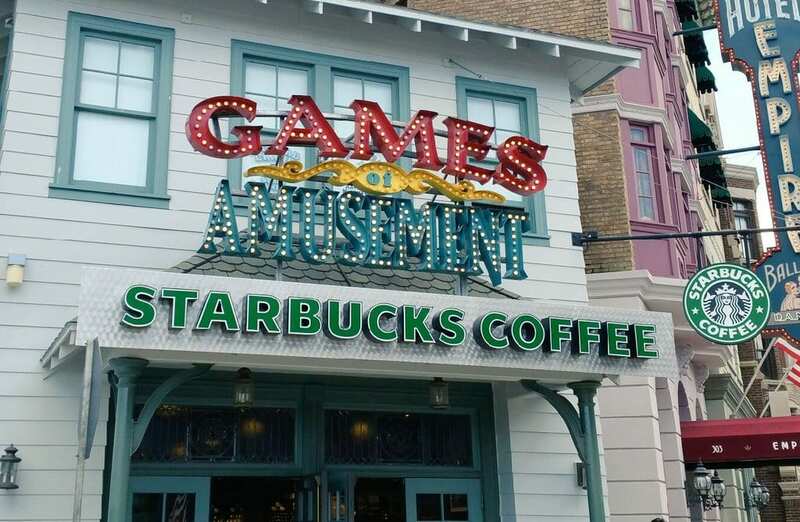 Um, there’s also Starbucks… end of discission. You know they have some of my money. (Photo taken by Leanette from Funtastic Life). 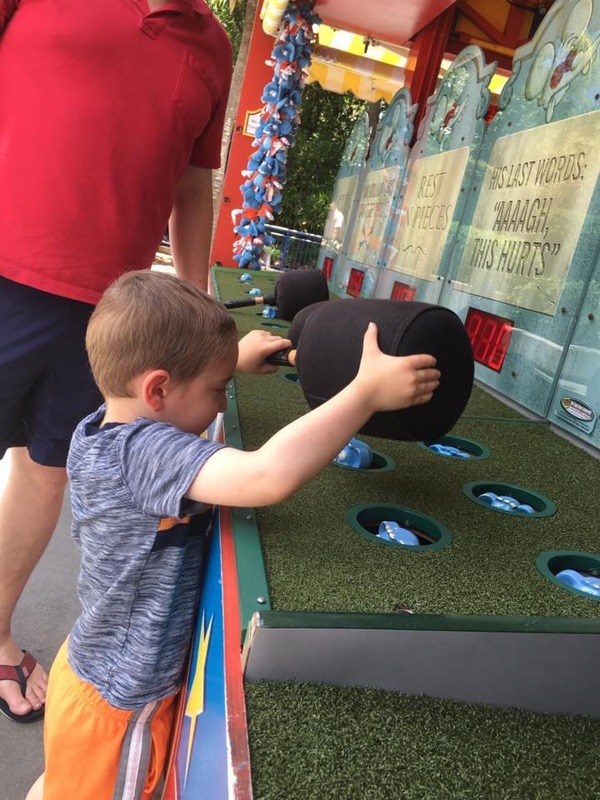 Little Caleb had a ball, too!! 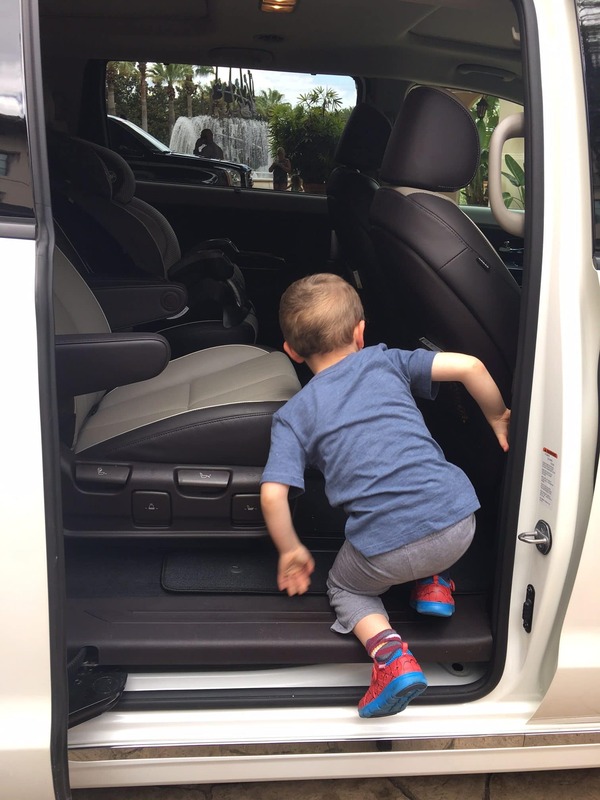 It’s not just all about the big kids! 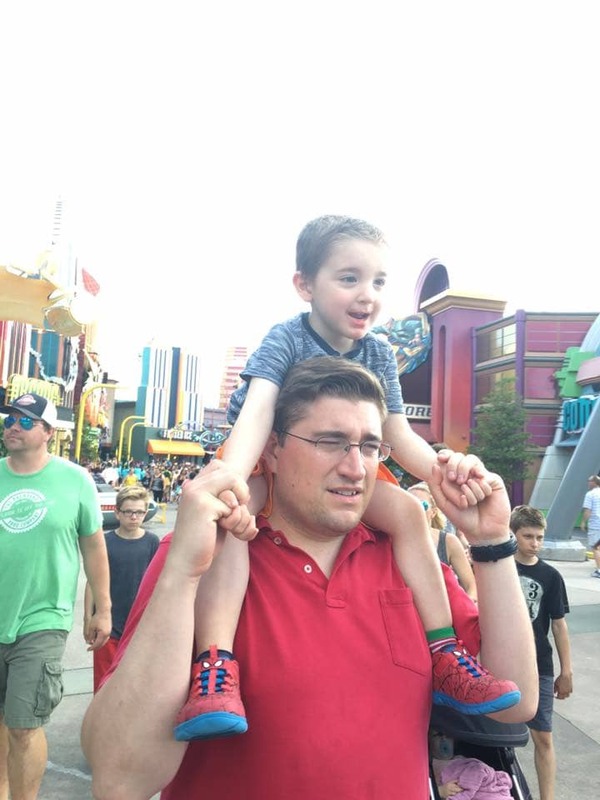 The kids loved hopping on rides featuring their favorites like the Minions, Shrek, ET, and the Simpsons? 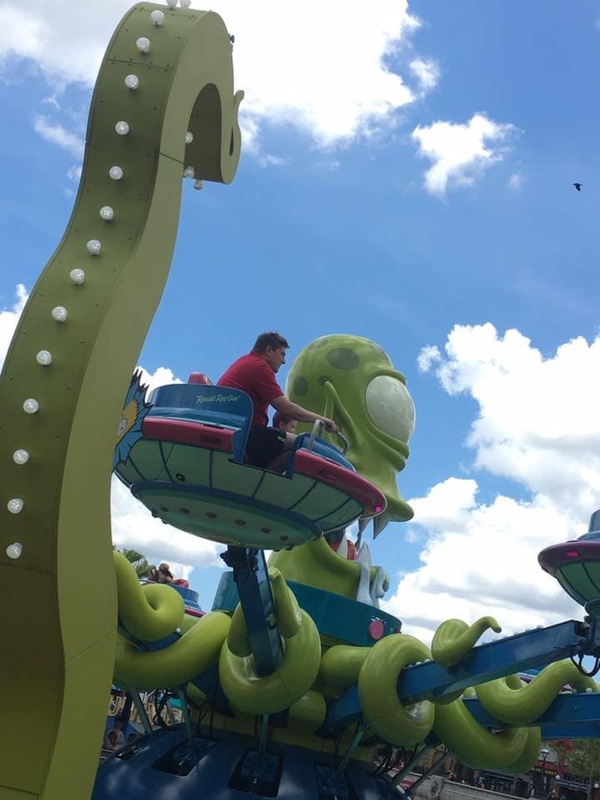 Caleb absolutely LOVED the ET ride. 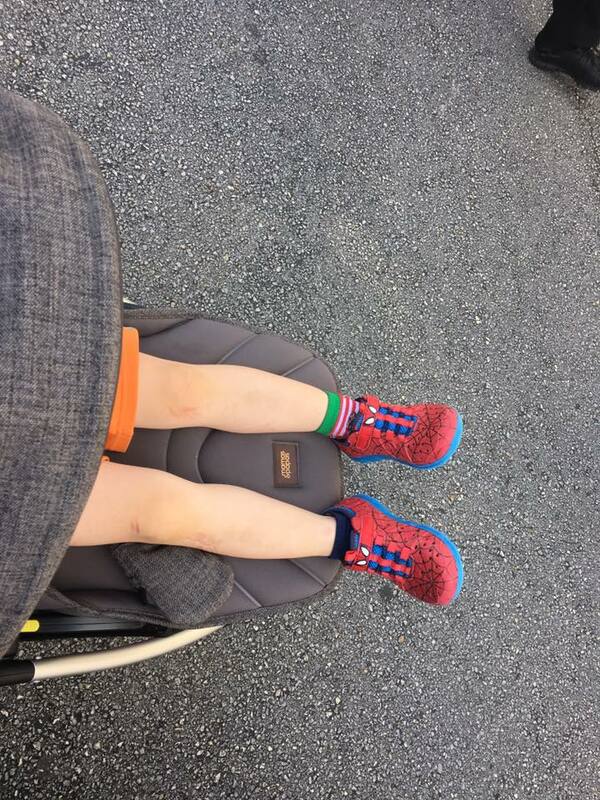 He got his very own bicycle seat too! My big boy!! Rides…check. Good food…check. 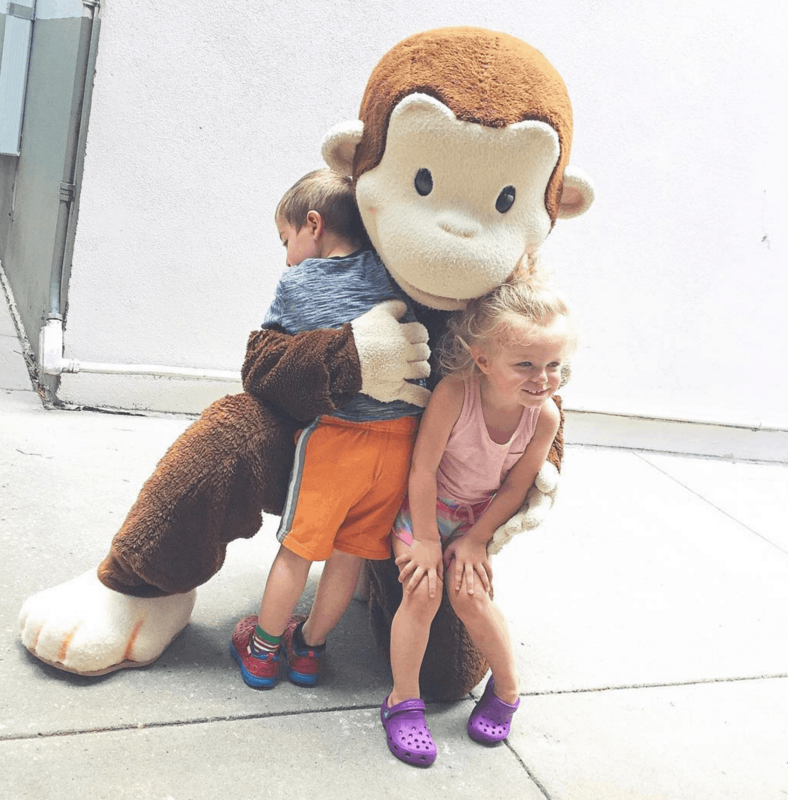 Characters the kids love? Check. In fact, the characters were also SO FRIENDLY. 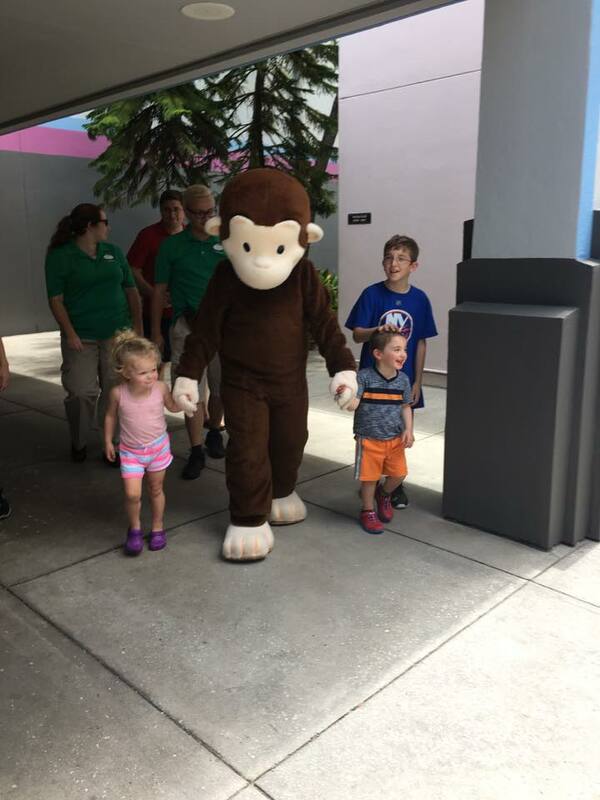 We happened to catch Curious George as he was coming into the park and Caleb ran right into him for a hug. I thought they would try to move us along, but the character really stayed with us for a long time. I told him that Caleb L-O-V-E-S Curious George and that he sleeps with him all the time. He just kept hugging my son. It was so sweet. Then he took both Victoria and Caleb’s hands and walked with them to his photography station… but not before allowing us to take a few pics of our own. Really wonderful! We hit mid-afternoon and we had the official nap/shut-down. It was well earned. The littlest ones lasted MUCH longer than we thought!! As soon as they woke up, they went right back into action – loving on one another and running around like crazy people. They were in heaven. 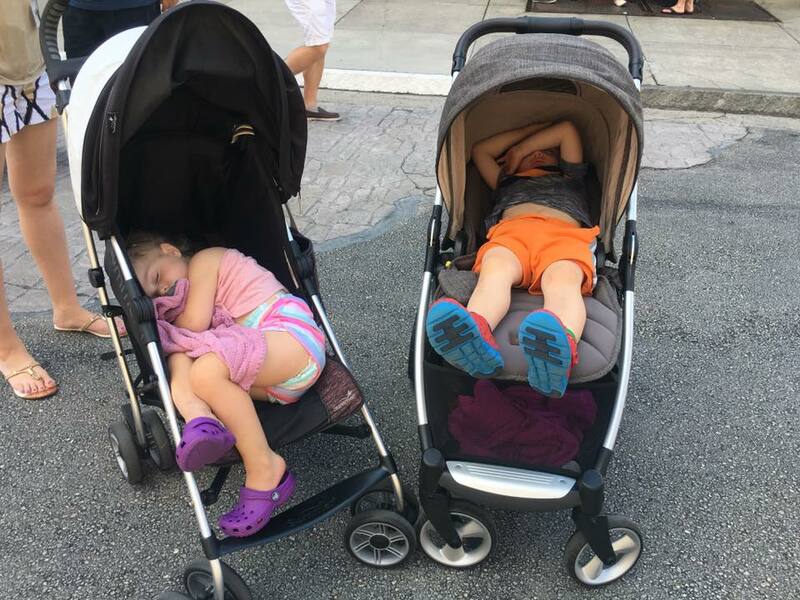 Again, this was truly one of the best parts of our time at Universal Studios. These small moments – the moments that should go by unnoticed because you are so busy taking in all of the CRAZY. Thankfully, we were able to stop and really enjoy all that was right in front of our eyes. A ride that completely was unexpected and AWESOME and a MUST DO? The Mummy Ride! What? I wasn’t sure how good it would be…but it was really good. I was actually scared at one point and I’m not one to get scared on coasters. Pretty fantastic. Note the Starbucks cup… I think that was number 2. Just sayin’. I was once a big roller coaster rider. No more. My vertigo has pretty much retired me from the fun. So, full disclosure: all the boys went on this ride and I sat it out. WHAT? Never!!! Well, yes…yes I did. They all loved it though. The kids went bonkers. We laughed. We ate. We smiled. We screamed. We posed. 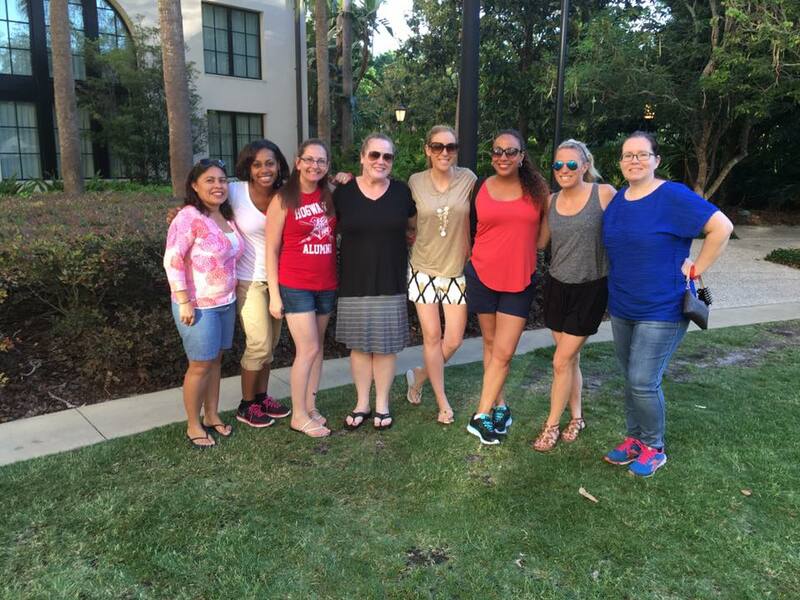 We ate some more…. 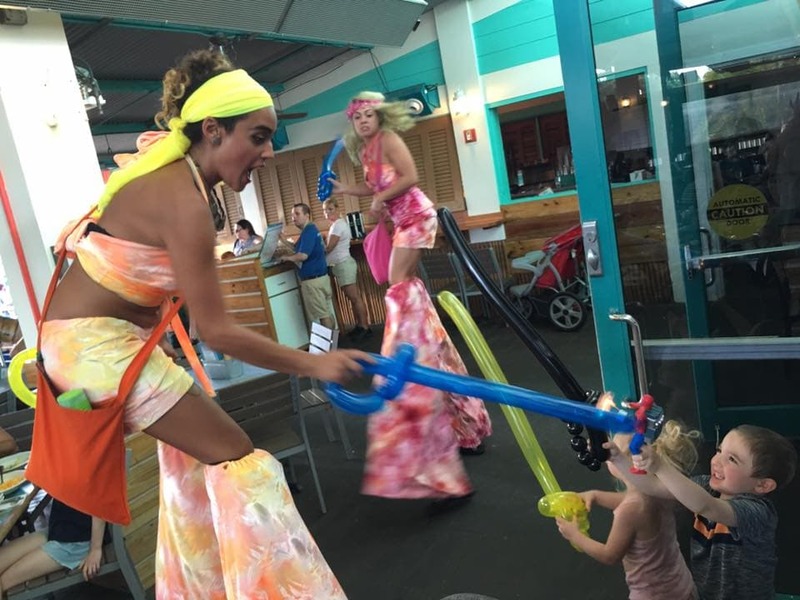 We even got into a balloon sword fight at Margaritaville!! The kids won by the way. Woot woot! Again, we were staying at the Hard Rock Hotel, and we really loved it. Great pool, great theme, great music, great location. When it was time to leave Universal Studios, all we had to do was take a quick walk back to the lobby. Another time we took the boat…super nice, super short ride. I am OBSESSED with the location!! 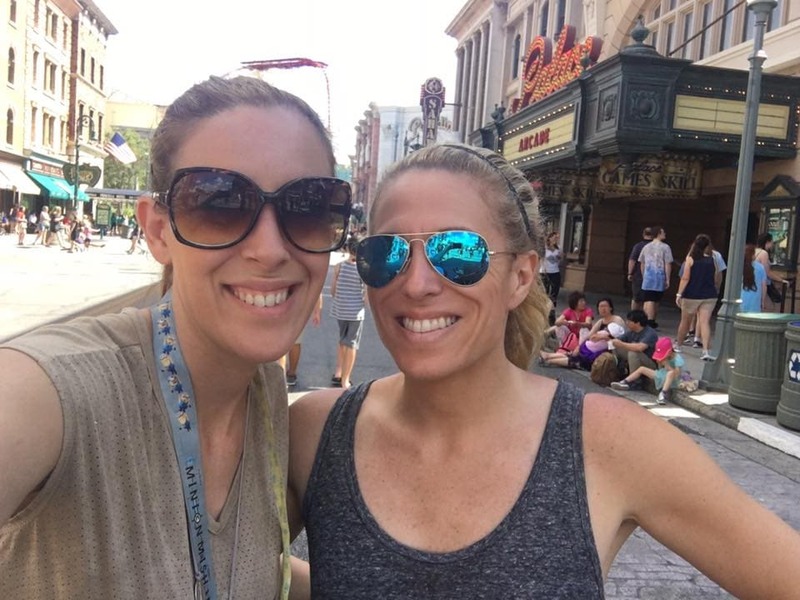 You MUST stay on the City Walk when visiting Universal Studios! There is no other way!!! In under 10 minutes walking, you are in the park!! So E-A-S-Y! Seriously. 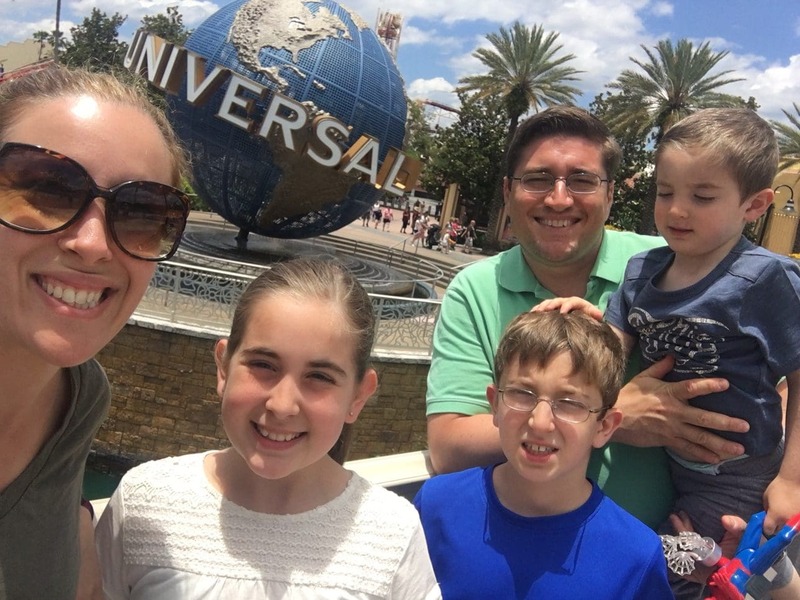 SKIP THE REGULAR LINES with Universal ExpressSM Unlimited ride access in both theme parks—a FREE^ benefit worth up to $89 per person, per day^^ (valid theme park admission required). 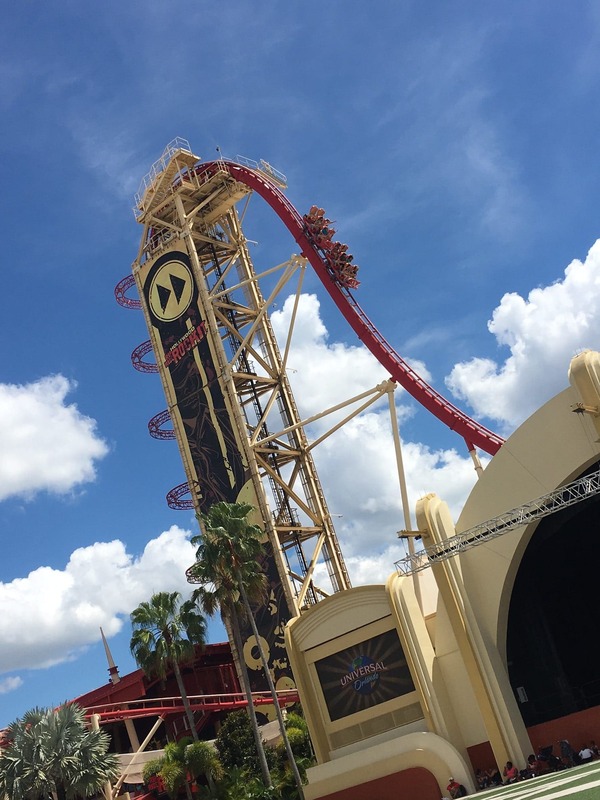 It’s the fastest way to ride—enjoy unparalleled access all day long, as often as you’d like! 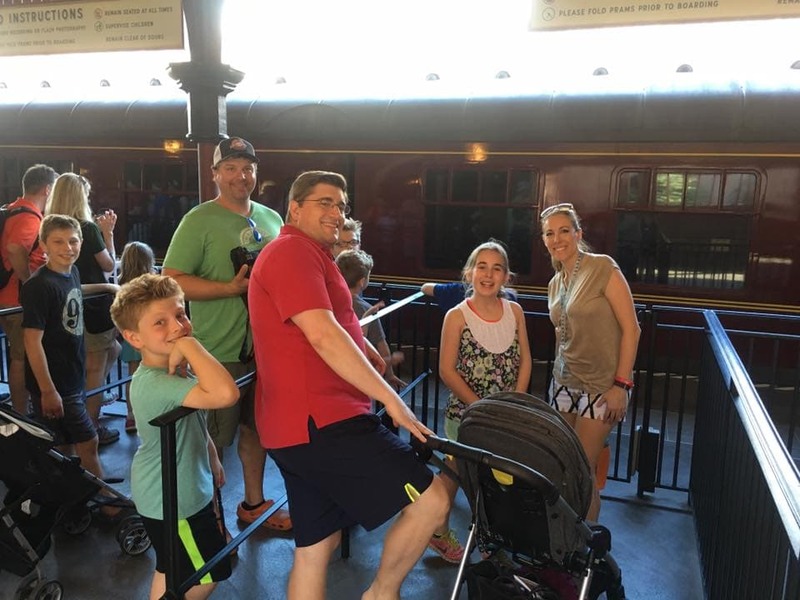 Priority seating at select restaurants throughout both theme parks and enjoy first available seating at select Universal Orlando® and CityWalk® restaurants. 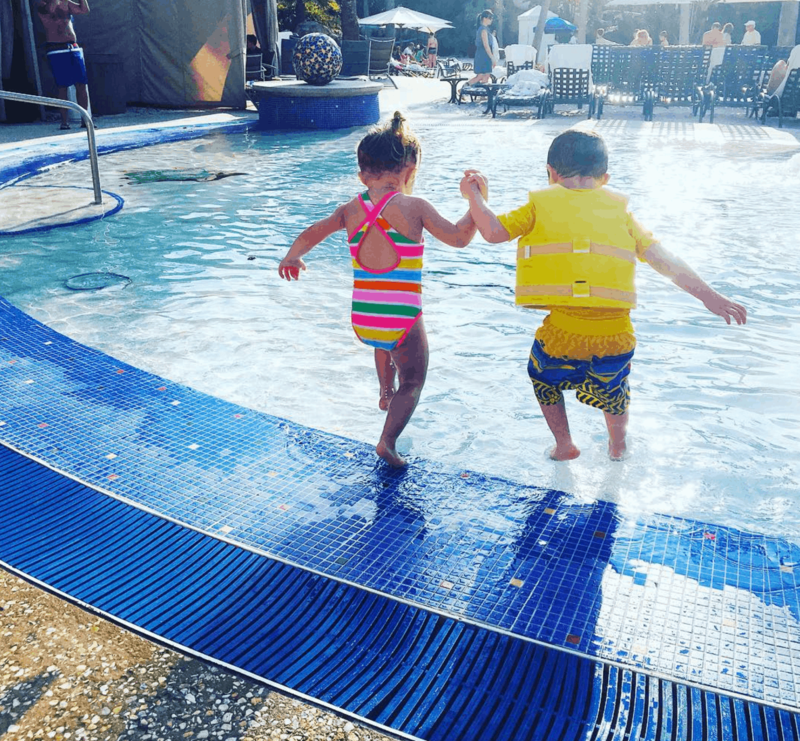 Resort-wide charging privileges with your room key card. Use your hotel room key card to charge food and merchandise at Universal Orlando® locations where credit cards are accepted. Complimentary scheduled transportation** to nearby Wet ‘n Wild® water park, SeaWorld®, and Aquatica™. 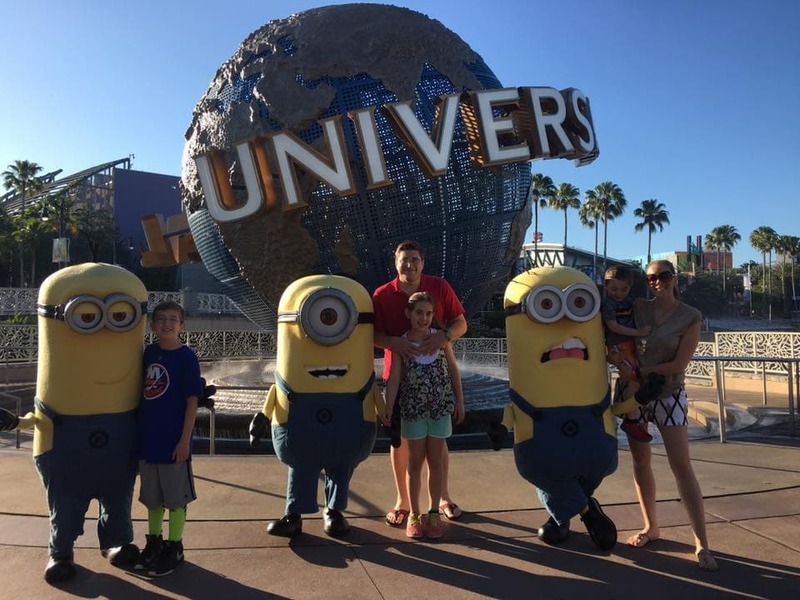 Universal Orlando® character dining with some of your favorite theme park characters. Have fun as they pose for pictures, sign autographs, and interact with everyone at your table… just wait until you tell everybody back home who YOU had dinner with! Start your day with a wake-up call from one of your favorite Universal Orlando® theme park characters and rock stars! 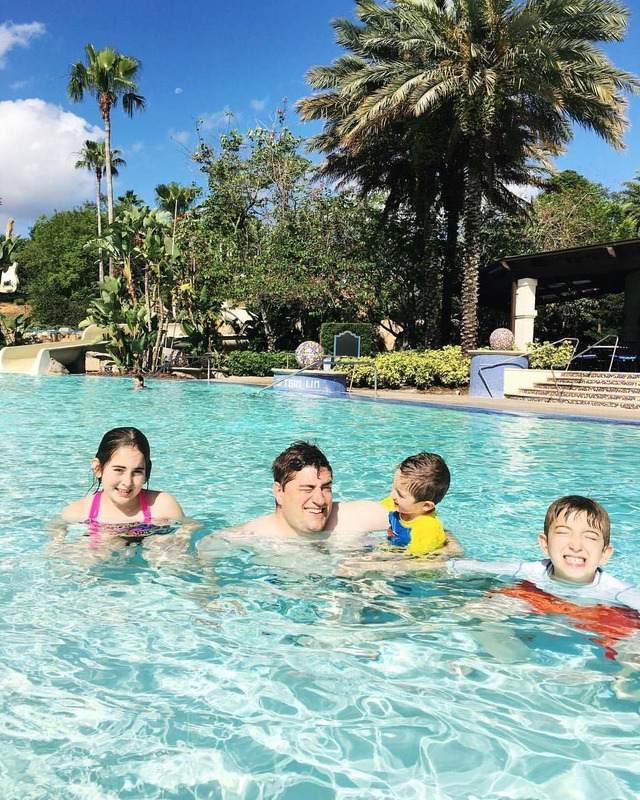 After a long day of rides, we ended the fun with a dip in the Hard Rock Hotel’s pool! The kids honestly could have stayed there for an entire day!! 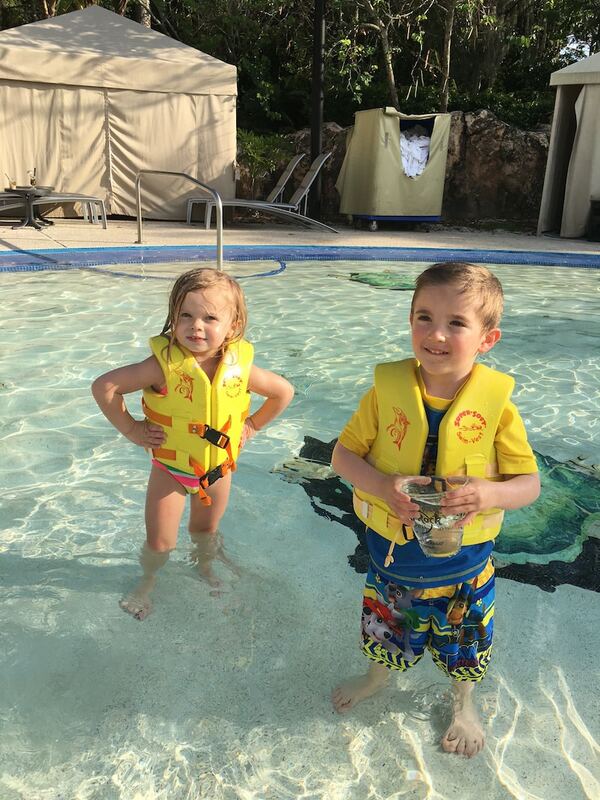 The big kids jumped in and out of the main pool (shaped like a guitar BTW) and rocked out to music that they heard underwater while our two little ones had fun staying closer to their parents in the kiddie pool. 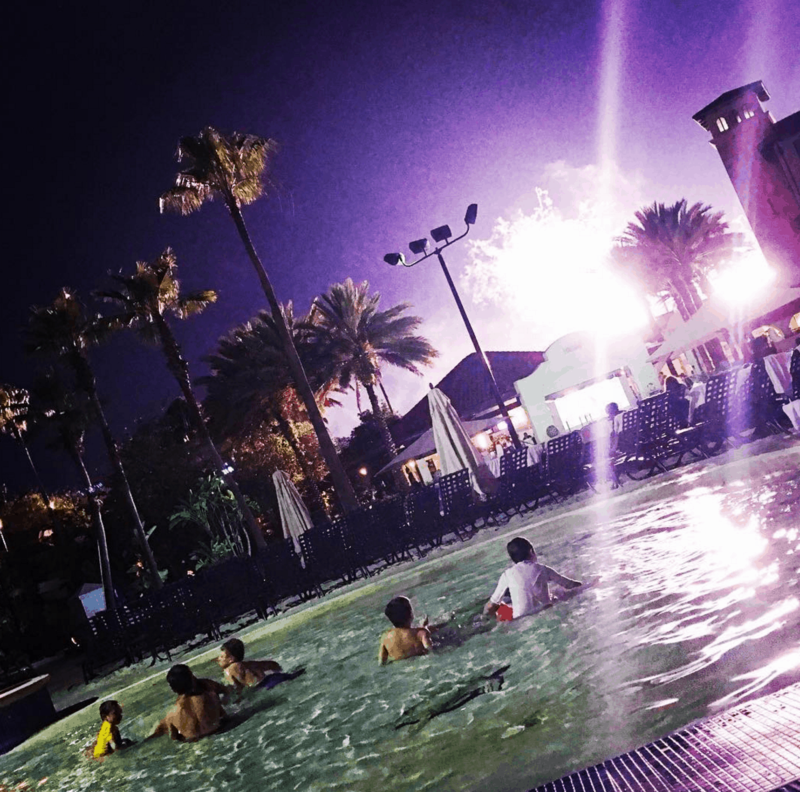 Before we called it a night, we enjoyed fireworks while in the water. Volleyball, pool bar, slide, kiddie pool, rocking music (even IN the pool). I think I’m done here. I don’t have to say any more, do I? 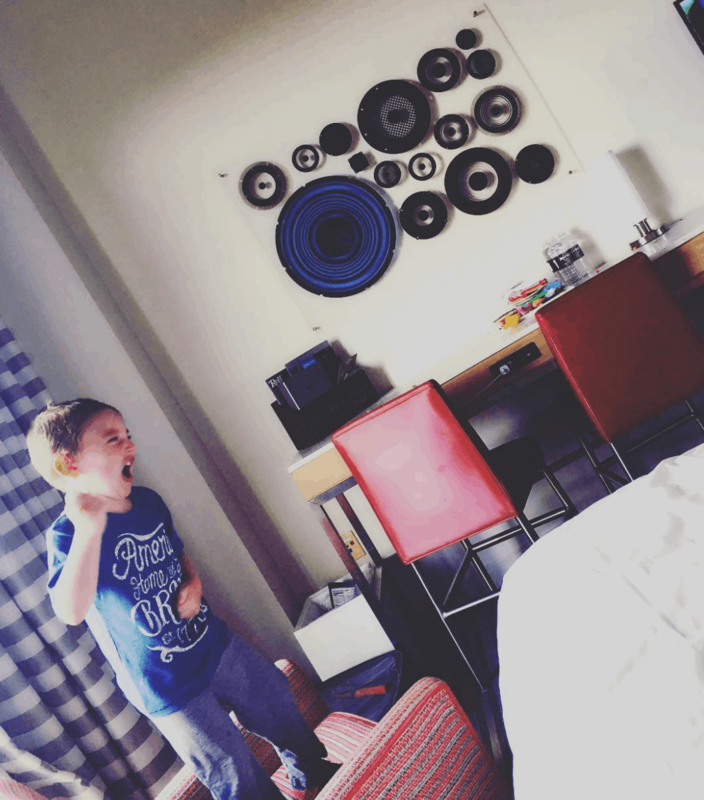 Like I said – the Hard Rock Hotel Orlando is total perfection. Where did our next adventure take us? Stay tuned! You won’t want to miss my recap of the Kennedy Space Center!! We got to meet and interview two astronauts. 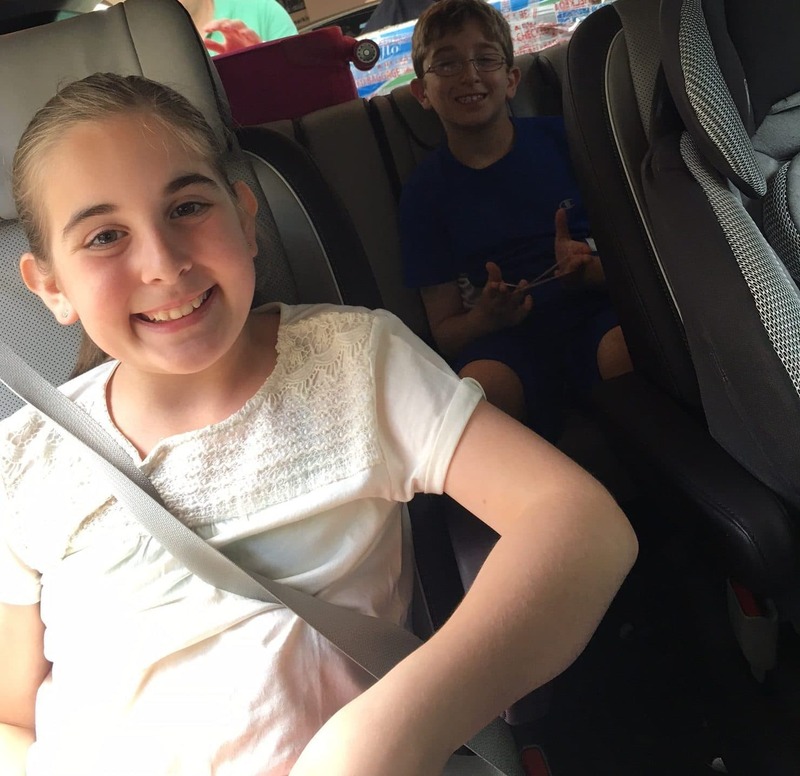 We drove out in the Kia and the kids were able to watch a few of their favorite movies while Bill and I sat back and relaxed as the navigation easily guided us to our destination. Plugs to charge our phone. Comfort and style. Bliss! Did I mention that their fabric is all stain resistant? This mom of three THANKS YOU!!! Can’t wait to show you more. 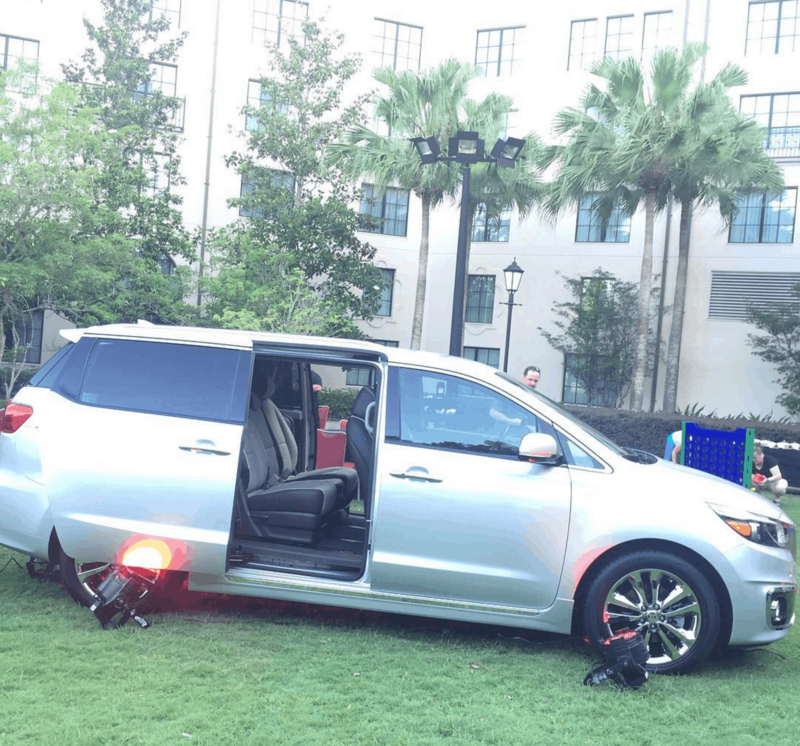 *Kia invited my family on an all-expense paid trip with the brand to Orlando, Florida. All opinions are my own. 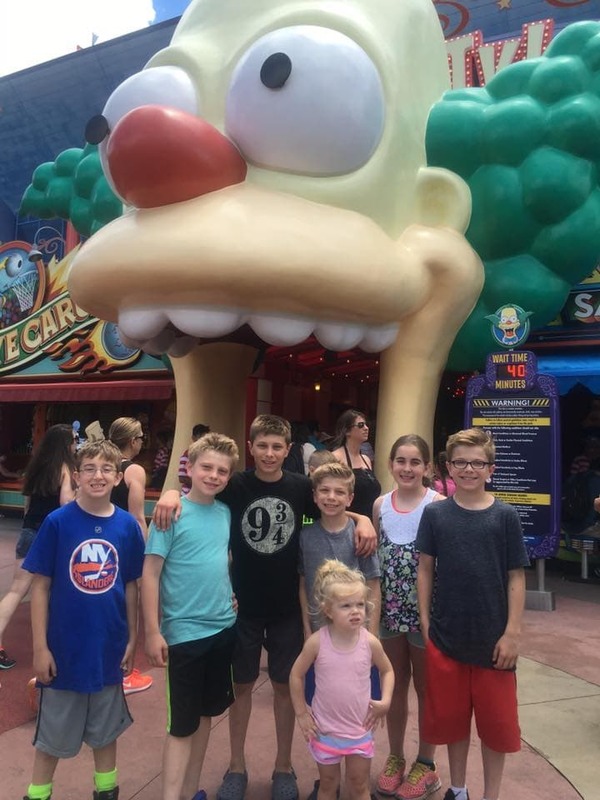 I went to Universal last year and loved it. I am waiting for my kids to get a little older, but can’t wait to take them someday. 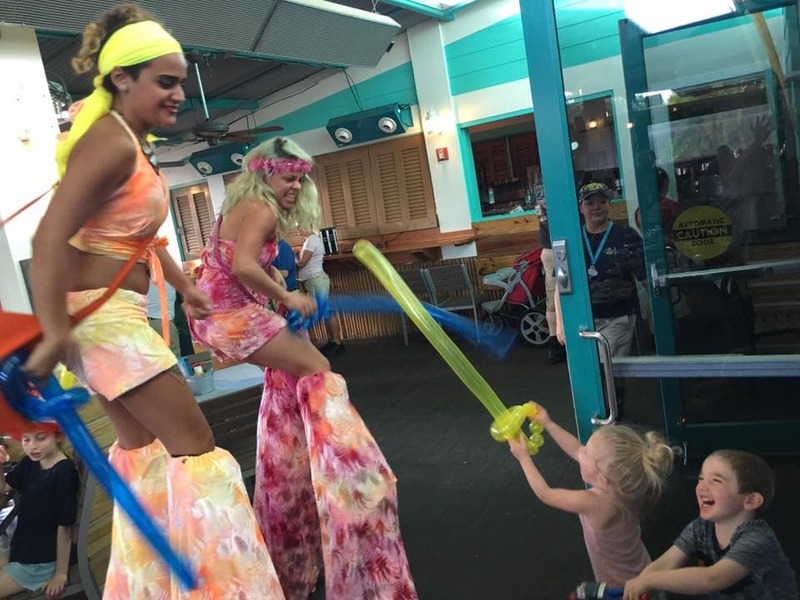 What a great time for the whole family, I’m so envious! 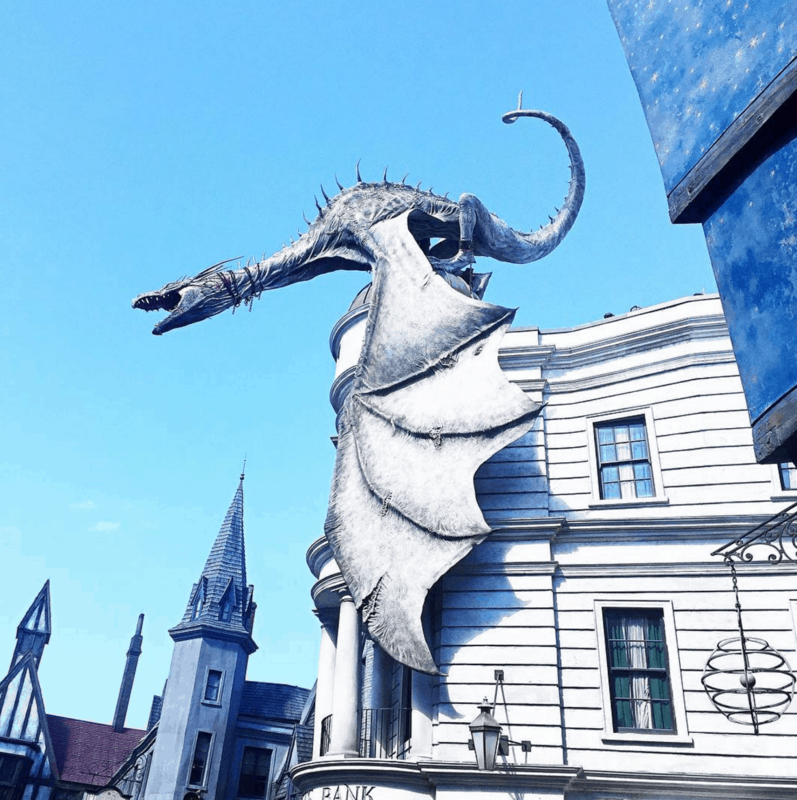 I love Universal Studios in Orlando (Wizarding World of Harry Potter is the best!). I’ve also been leaning toward getting a Kia, but I was never completely sure of their reliability. But lately, I’ve been hearing a lot of positive things about their cars! Wow! Looks like your family had a really great time. Plus, I saw minions! Aw, really cute. This place is actually included in my bucket list. Looks like you guys had a blast. 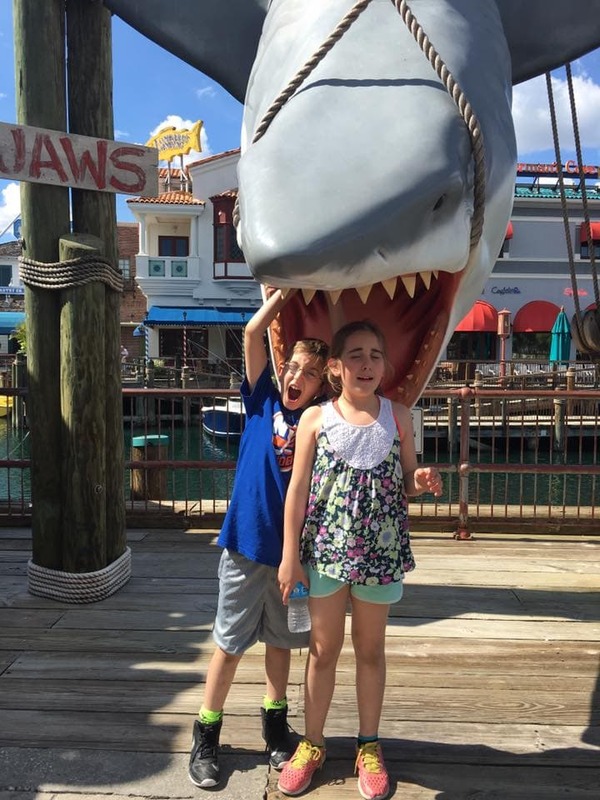 There’s so much to do and see at Universal Studios Orlando. I’ve only been to the Hollywood one but I hope to one day visit the Orlando park. I live in Central Florida and Universal is my fav of all the theme parks! I love Jaws!! And I know you had fun at Kennedy Space. That place is just cool!! I got a chance to spend an afternoon in Universal a few years ago and it looks like there are quite a few new additions! 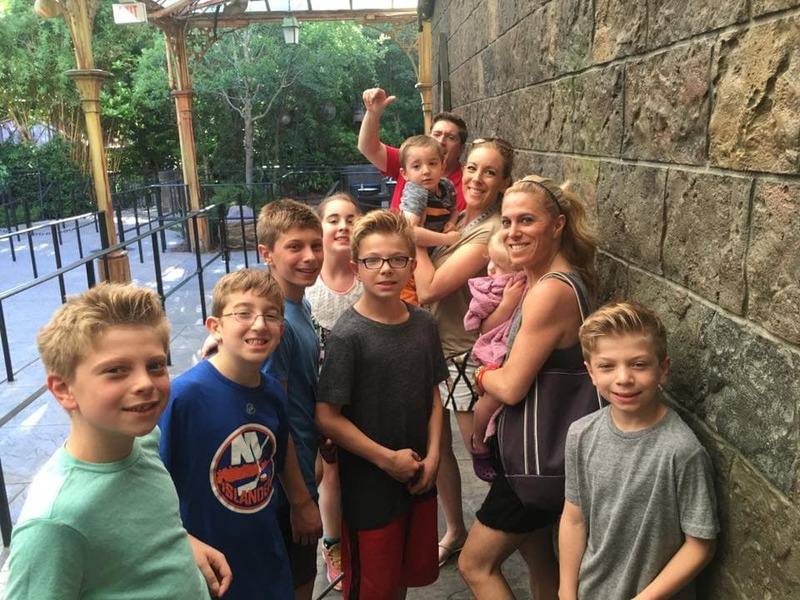 Looks like you guys had a ton of fun… I really need to convince my hubby we need to take the kids here. 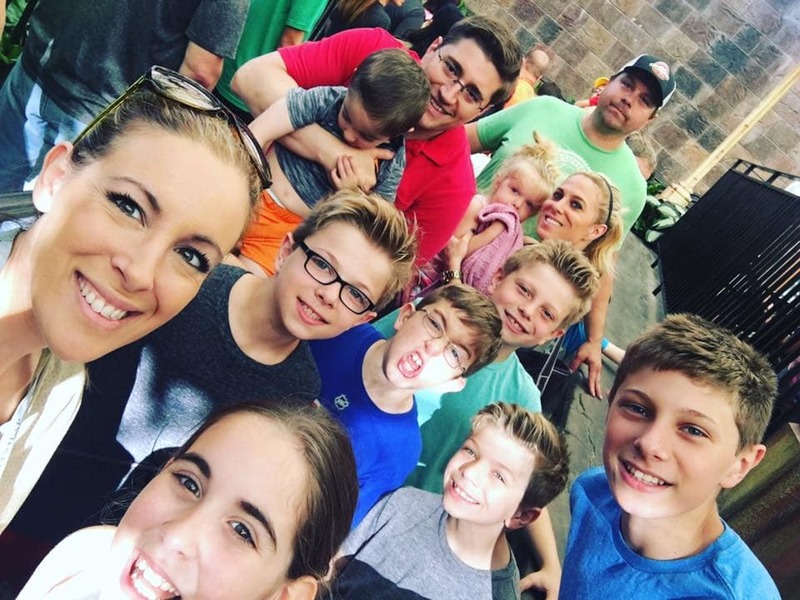 This looks like such a fun time, I love all of your family photos! 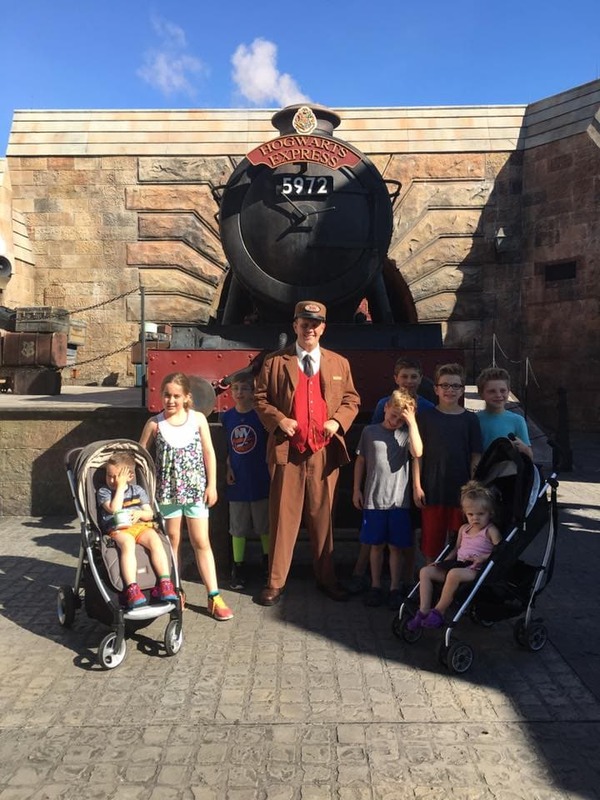 Glad you were able to have this experience with your family! That would be such an incredible trip with you family. What a fun time you all seemed to have. Kia was so gracious to invite you to the party. I love all of your photos. One day I’d like to visit Universal Studios, it looks like it was a blast. 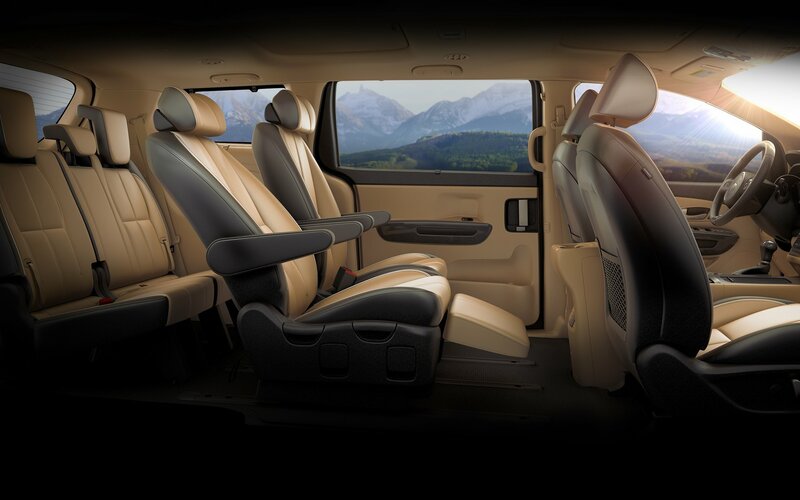 I’m not a minivan kinda gal, but that one there is pretty…..I wouldn’t mind driving that one at all! It looks like you all had a blast and packed in a lot of fun adventures into your vacation time! 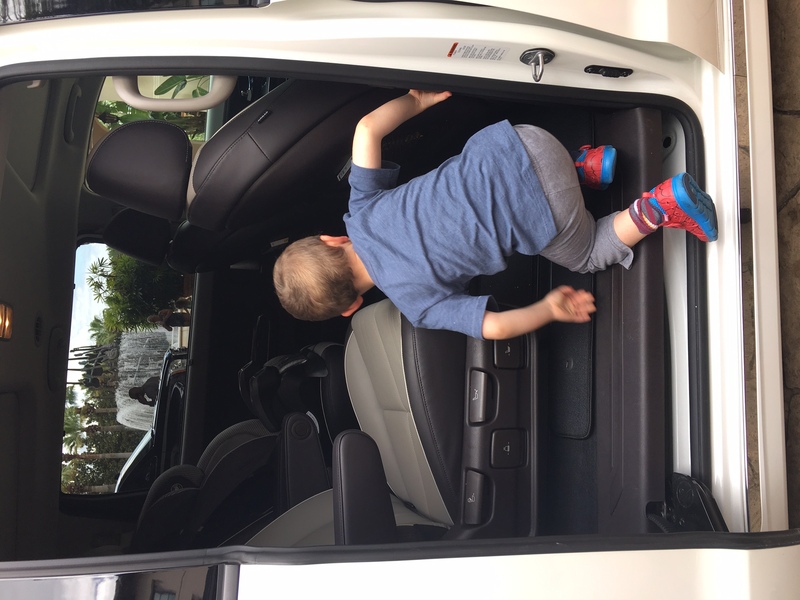 I tried out the Kia Sorento and loved it – the Sedona looks awesome and I love all of the space inside!